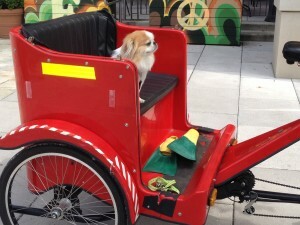 DC RICKSHAW TOURS, BIKE TAXIS, PEDICABS…. say hello to yabadabadoo transportation DC! Well look who decided to suavely stroll into the city and take DC by storm? 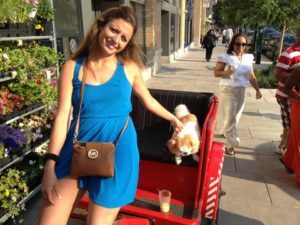 Discover DC Pedicab Tours (formerly Destination DC Tours) knows the city’s best kept secrets of where to go, what to see, what to do, and how to get there. What is a pedicab exactly? Pedicabs, also known as cycle rickshaws, are a human-powered type of tricycle designed to carry passengers. Pedicabs for site-seeing are faster than walking, can maneuver through heavy traffic and are more environmentally friendly than buses and cars! 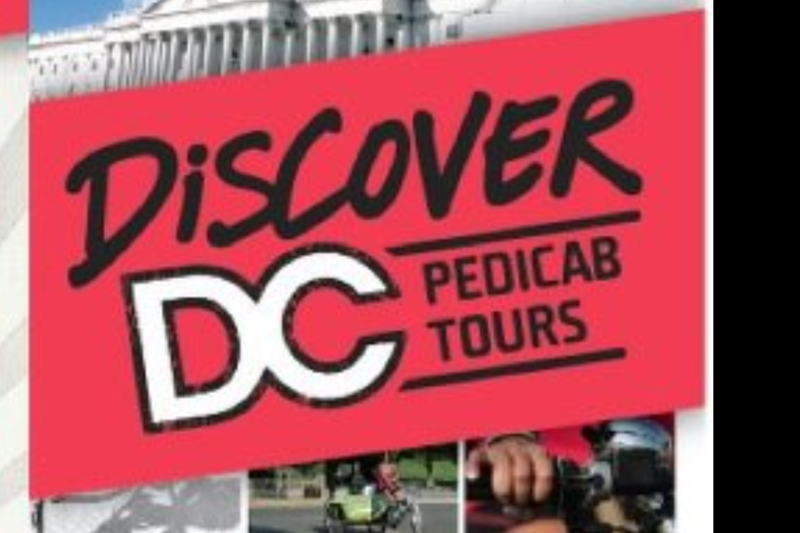 Discover DC Pedicab Tours offers various customized and private tours around DC’s spectacular sites that are geared not only for tourists, but also for the DC Local. We offer bar crawls, special event tours, holiday tours, corporate events group tours, and DC Trivia Tours. Our terrific tour guides will take you and your loved ones on a tour around the city for the ultimate site seeing experience in DC. We can accommodate groups as large as 50. Given that some of our guides are teachers in the surrounding metropolitan area, professors, and tour guides, certain tours are specifically geared for retention of information and comprehension of the city’s most interesting points of history. If you come on a Discover DC Pedicab Tour, we guarantee you will leave having learned at least ten things you never knew before! Discover DC Pedicab Tours, the talk of the town, wants to take you on a tour. As we take you to the various Discovers, we tell you all of the city’s story, interesting facts, statistics, and history you’ll want to know. Shaady has a serious and dangerous addiction to pedicabbing. She is a guide in Washington DC and certified 6th grade teacher. After graduating from University of Maryland with a bachelors degree in Education and Communications, she became a teacher in Fairfax County Public Schools. After a traumatic accident that left her immobile for many months, the only thing she cared about was being able to ride her bike again. Learning to walk with 70 percent of her quadriceps resected was difficult but she worked hard at it and finally got it. Soon after her recovery, she was riding her bike 30-40 miles every day and that made her happy. It made her so happy that it was the only thing she ever wanted to do. Deciding to live an unconventional non-professional life, which was against her Persian parents’ wishes left them upset. “Our daughter used to be a 6th grade teacher, but now all she does is ride her bike! She doesn’t want to have a Real Job!” Her frustrated parents insisted that she go back to a desk job or something like that. Pshhhhhht. Shaady refused to listen to her parents and instead pursued her passion of pedicabbing. Since she also had a passion for Washington DC and telling tourists stories of the city, Shaady decided to become a multi faceted octopus so that she can do both simultaneously. On her down time, Shaady designs funny presidential Discover DC Tours gear and sells them and other things on poshmark. Shaady really loves teaching so she gears many of the tours she offers towards learning and retaining important information for children, and teaching part time again. Although at one point, she was rolling around in a wheel chair, now she takes every advantage she has to be physically active. She believes herself to be a born again super woman.